On Wednesday, March 6th, Father Charles Devine passed away. He was 83 years old and had been ordained for 53 years. 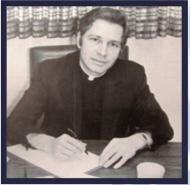 He was principal of Aquinas from 1974-1980. He was loved dearly and he will be greatly missed. Please keep his family in your prayers. The over 16,000 square foot building holds a 336-seat auditorium, band rehearsal space, dressing rooms, and designated design and set building areas. The San Manuel Performing Arts Center will serve the students as well as the community at-large. 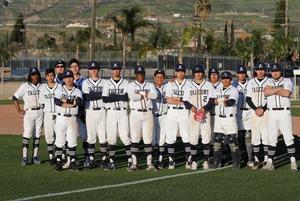 Aquinas baseball set to play rival Notre Dame at San Manuel Minor League Stadium in San Bernardino. The 2019 Aquinas Falcon baseball team will compete against Catholic school rival Notre Dame High School on April 12 at 7:00 pm at San Manuel Minor League Stadium. Tickets can be purchased from Mrs. Worthington in the Lemann Leadership Center. Come support the Falcon baseball team at this event! Aquinas High School’s athletic teams will solely wear the Nike brand for the upcoming sports’ seasons. On Tuesday, June 27, the Aquinas athletic department announced an all-Nike partnership for its sports program, through BSN Sports. Derby and Dice Casino Night January 27th! Our annual Casino Night supports our Aquinas students! Sophomore, BobbiAnn Pratt named to both Max Preps 2017 California Medium Schools All State Team and All American Softball team in her freshman year! Congratulations BobbiAnn!